A Business Continuity Plan (BCP) is Not Just Backing Up Your Files! The above is merely a partial list of items to be considered. It is recommended that professional assistance be utilized in order to ensure that your BCP is complete and comprehensive. Key service offerings include: ISO 9001:2015 transition, internal audit services, agile process transformation, six sigma and lean, FOSS risk mitigation and training solutions. 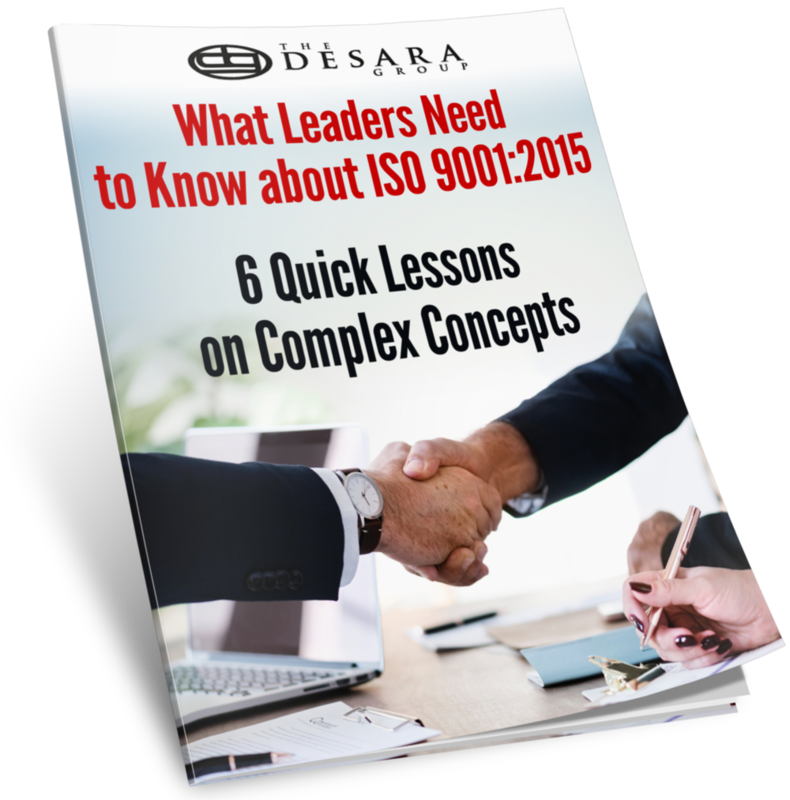 "What Leaders Need to Know about ISO 9001:2015 - 6 Quick Lessons on Complex Concepts"
Site map © Copyright 2015 DESARA Group. All rights reserved.